Don Goers didnâ€™t play Santa, he was Santa. As one of the longest tenured Santas in theme park history, Goers began his career in 1959. He is among the original men who played the role at Santaâ€™s Village Theme Park in Dundee, Illinois. 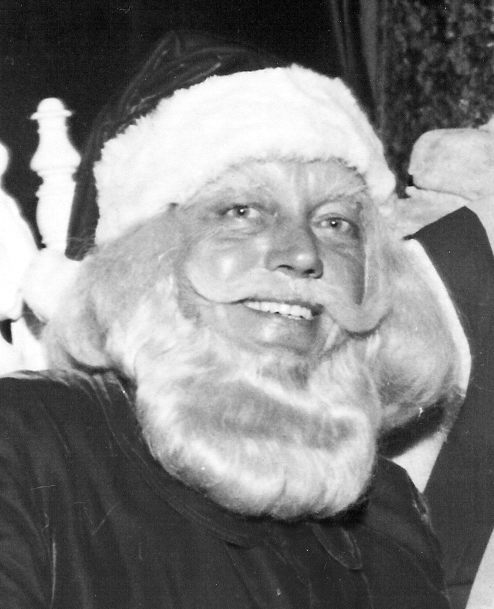 In 1966, Goers took over the role fulltime becoming Santa from Santaâ€™s Village and being in costume 200 days a year. It would be a position he would hold for 14 years. As Santa, he invoked a jolly demeanor that was more a reflection of his personality making him a natural for the character. His wide smile and hearty belly laugh became his trademark. Goers spent twenty years at Santaâ€™s Village in the maintenance department and as Santa. He helped the park grow from just a few rides and attractions to a Chicagoland icon. Each year, tens of thousands of children visited him in Santaâ€™s House. Goers left the park in 1979, returning only once to be Santa. In 1994 he returned for the 35th anniversary celebration of Santaâ€™s Village.